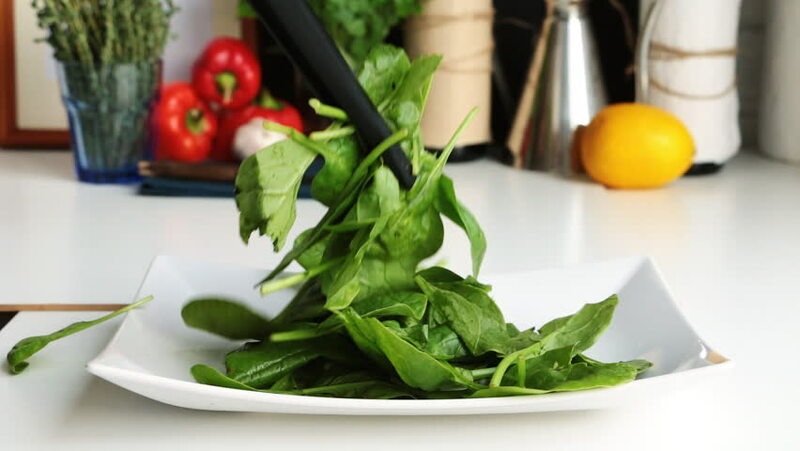 hd00:18Putting green spinach leaves on a white plate. Concept of healthy food. Kitchen blurred background with bottles of wine, oil, herbs and vegetables . 4k00:11Cook's hands sprinkle with pepper salad in kitchen. hd00:17SLOW MOTION: Preparation of salad from healthy vegetables, cheeses and oils, 240 fps.